Here are five of the best winter warmers for Wool Week. 1. A bang on trend chevron throw from Tori Murphy (£250). The throw is 100% Merino lambswool woven in Lancashire, washed in the Yorkshire Dales and made in Nottingham. The throw is deliciously soft, with a reversible design and hand finished with a traditional blanket stitch. 2. An organic duvet from Devon Duvets. A duvet made from platinum grade British Wool that has not been bleached or chemically treated and 100% cotton and is handcrafted in Devon (from £130). The untreated wool fibres work help to repel and wick away moisture encouraging evaporation, leaving an environment that is not moist enough for dust mites or bacteria to easily survive. Regular airing helps the wool fibres maintain their capabilities. You could even add a folding pillow, whose smart design enables you to air the pillow. 3. A blanket from Welsh mill Melin Tregwynt, in the heart of Pembrokeshire and owned by the same family since 1912, the products fuse traditional Welsh designs with innovative colour. For a more midcentury zing of colour look at Seven Gauges studio , whose lambswool products are designed and machine knitted in England. 4. A hot water bottle. Handmade in Lampeter from sections of vintage Welsh blankets that have otherwise been damaged. They are available in standard size (£30), and mini hand warmer size. (£19.99). from Jane Beck Welsh Blankets. As the name would suggest the company has a wide range of Welsh blankets new and vintage, as well as other woollen accessories. 5. 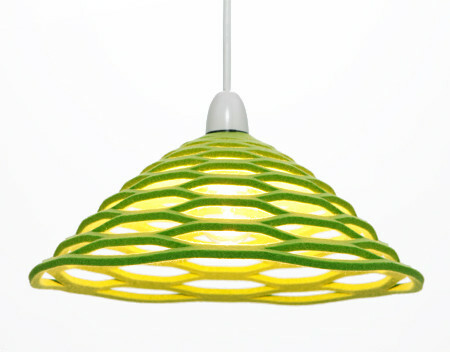 A felt lampshade made of 100% wool felt dyed with environmentally friendly inks from Desinature (£28). And if you fancy having a go, the Handweavers Studio runs an extensive workshop programme and regular weaving classes.